Japan is such a weird and wonderful nation, and has so much more to offer than any of us imagine. Sure, mainland Japan has places like Tokyo, which have to be experienced as urban technology hubs. But, you might not be aware that Japan also has a load of interesting islands attached to it as well. You see, Japan is actually an archipelago, made up of several islands, some of which are just downright strange – and here is a selection of the weirdest! 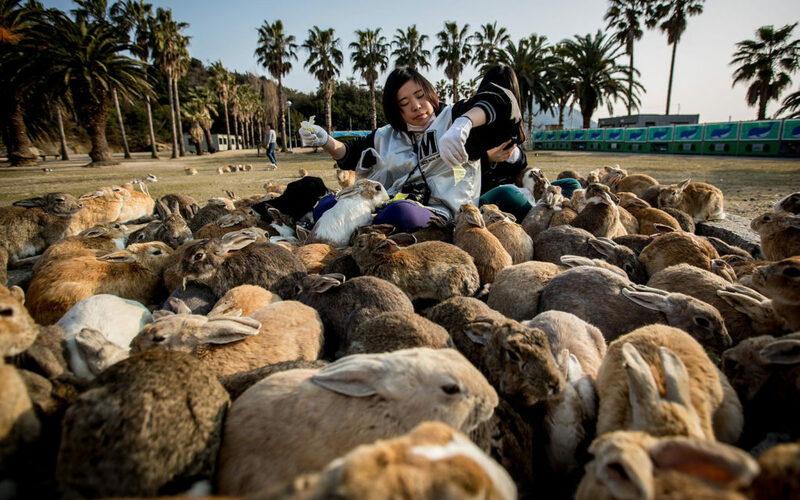 This island is also named Rabbit Island because it’s home to thousands of hoppy, floppy bunny rabbits. That makes it a total paradise for those who love rabbits, and a definite tourist hotspot for visitors. The story goes that during the Second World War, the island was used to produce Japan’s chemical weapons. The rabbits were brought to the island to test out the poison gas! But, don’t worry, these bunnies obviously bred a lot, and now there are hundreds of the floppy-eared friends populating the island. None of them mutants, we hope. There is also a small golf course here too, for those who like teeing off! Did you know, this island could once boast the claim of being the most densely populated place on Earth? 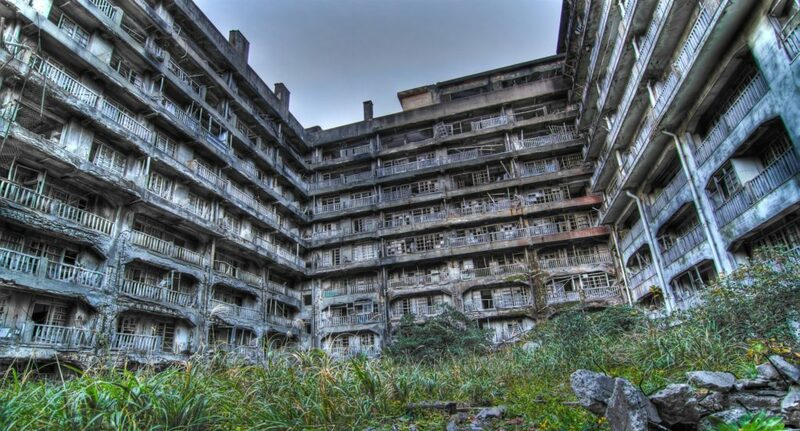 Hashima Island was once used for coal mining, but is now totally deserted – this makes it an iconic tourist hotspot. Since Japan switched its main energy source to petroleum, the island has become obsolete. For this reason, it is now a ghost island and more than a little eerie in places! The floating island is definitely one of the most iconic and weird places to visit in Japan, and, if you can get there, make sure you pay a visit. Fun fact – it was actually featured in the James Bond flick, Skyfall. 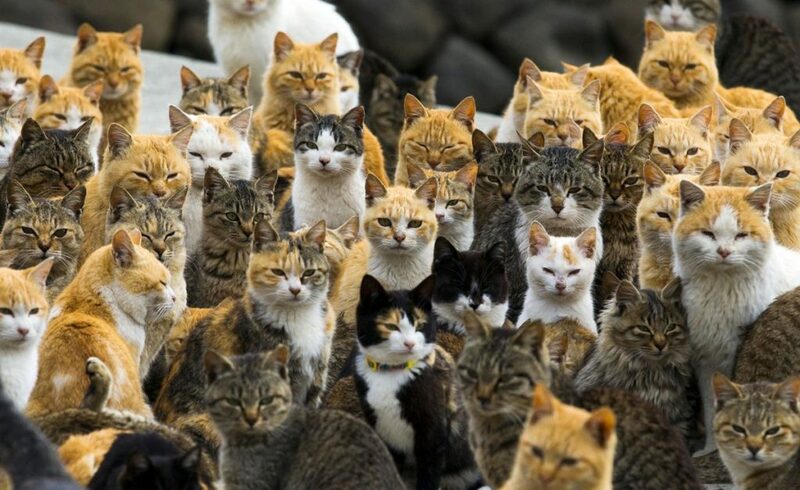 So, we know there’s an island of bunnies in Japan, but, did you know there is also a Cat Island too?! Tashirojima Island is often referred to as Cat Island and has less than 100 human occupants. The cats arrived on the island in around 1850, introduced to tackle the mouse population, and their numbers have multiplied since! The residents of the island actually view the cats as lucky charms, and they are considered sacred. If you’re a feline lover, you have to visit this weird island – you can even stay in a cat cabin! If you’re looking for stunning, colorful, and unique views, you should check out Itsukushima. The island is located in Hiroshima Bay and is classified as a UNESCO World Heritage Site. Itsukushima Shrine is located here, and the island is home to some staggeringly beautiful maple trees. In the Fall they turn the island a deep and dark red color, making it one of the most beautiful of all the Japanese islands. The island also features some amazing temples and monuments, as well as the orange-colored Grand Torii Gate, which is partially submerged in the water at high tide – stunning. As you can see, there are so many wonderfully weird and unusual islands in Japan. In fact, there is such diversity, that often you will feel like you’re in a different part of the world. If you’re considering visiting Japan, we recommend you check out one of these stunning islands, for a unique and memorable experience.